Marketing is one of the best niches to major in, as this sector is booming. With the way things are going, marketing is going to continue to be a hot niche. Whether you are thinking of online or offline marketing, the situation is the same. Businesses need a way to get the word out about their products and/or services and to get people to patronize them. 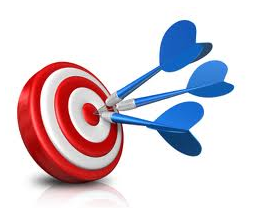 Having a sound marketing strategy is thus of prime importance to businesses. If you are thinking of your future, majoring in marketing is one of the best decisions you can make today. How do you go about it? How do you major in marketing? There is no step by step guide, but here are some tips which can help you make the best possible choices. Depending on the educational institution that you are going to enroll in, you will have various options to major in marketing. One, you can look for schools which offer programs for a Bachelor’s Degree in Marketing. There are a lot of colleges and universities with this program, both online and offline. With a Bachelor’s Degree in Marketing, you can learn what you need to know in order to become a successful marketing professional. Some of the skills that you can expect to learn under a program for a Bachelor’s Degree in Marketing are developing, executing, and controlling marketing strategies. These strategies will range from the basic to the complex. You can also expect to build information-based analytical decision-making skills throughout the course of your program. Alternatively, you can opt for a business degree and then choose marketing as your major. Obviously, this type of program will impart a broader skill set. Many students opt for this choice as they may not be a hundred percent sure about what they want to do after graduation. With a business degree, there are more doors that can open – marketing and otherwise. Eventually, you will also have to make decisions regarding special courses. Marketing is a broad topic and has applications in many industries. If you already know which industry you want to focus your marketing efforts on, then you will have to take certain courses that will prepare you for this. For example, if you want to work in the IT industry, then you will have to take courses that will give you basic knowledge of the sector. This will help you become a more effective marketer in the future. Whichever option you end up choosing, you will have to do basic things. For one, you need to do extensive research on the college or university that you wish to go to. You will have to learn about their requirements for admission. In some cases, you will have to meet grade requirements in order to qualify for their marketing program. You might also want to find out from the get go if the program requires an internship. Most schools do this, as internships for marketing majors benefit the students immensely. It is highly recommended that you look for a marketing program which helps students with placing internships. Majoring in marketing is not difficult. You only need to be dedicated to your chosen field, and you will see quickly you can become successful at it!